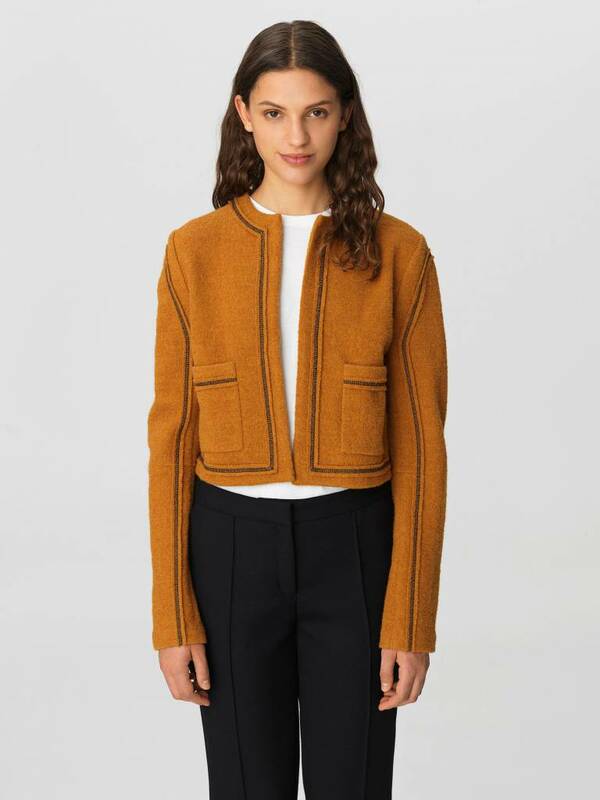 This long sleeve shearling jacket from Dion Lee is one of a kind. 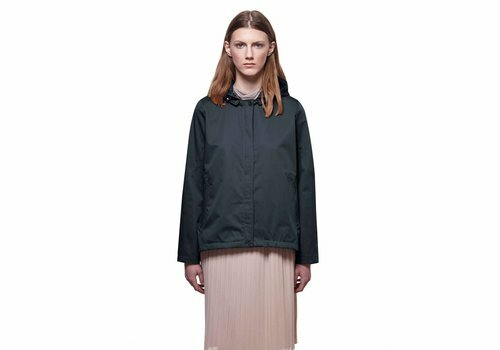 Featuring a patent shine coating outer with long shearling inside, foldable cuffs, raw hem and signature button hardware. Size S/M. 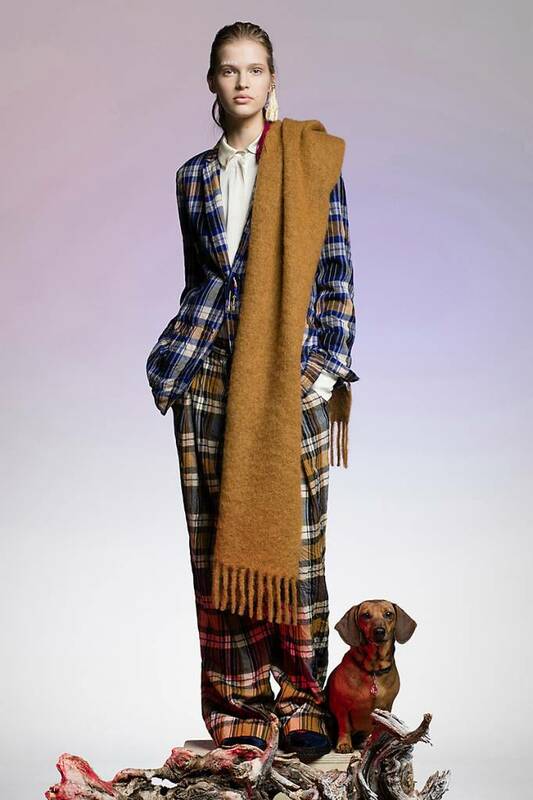 Spun from soft wool blended with cotton, this cropped blazer is detailed with stitching that lend structure to the piece. The open front and patch pockets underscore the cool vibe. 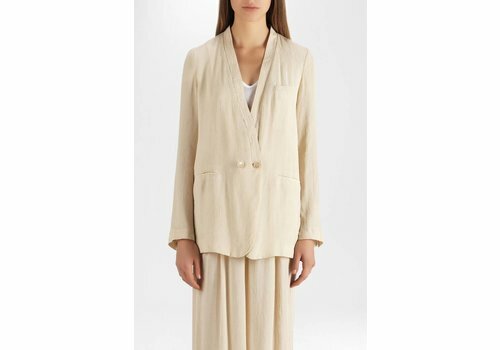 This relaxed fitting jacket from Forte Forte in viscose crepon features welt front pockets, button fastening, interior lining and split at back and sleeve ends. Wear everyday or dress it up for a stylish evening look. 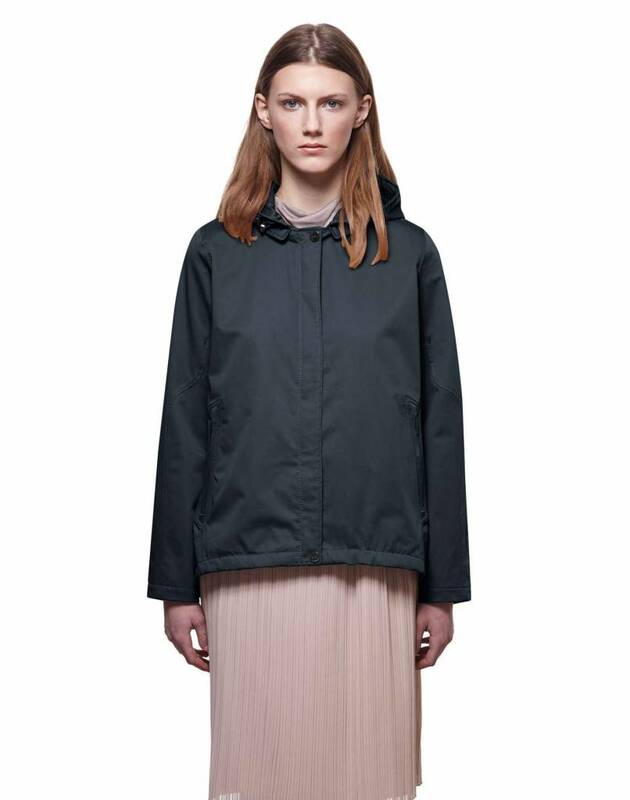 The Feel Jacket by G-Lab is a waterproof, windproof and breathable short jacket with feminine A-shape, longer back box pleat, slim sleeves, removable hood for different looks and functions, and fully sealed seams. 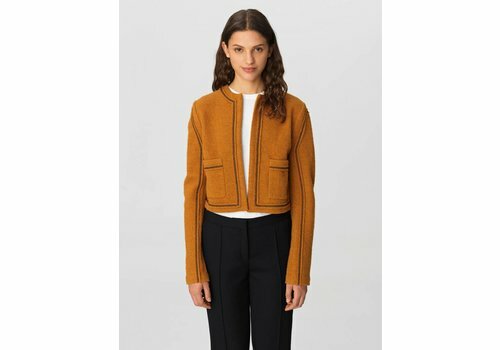 This Leal Daccarett La Juana Cropped Jacket is a biker style jacket featuring a cropped hem and slim fit. 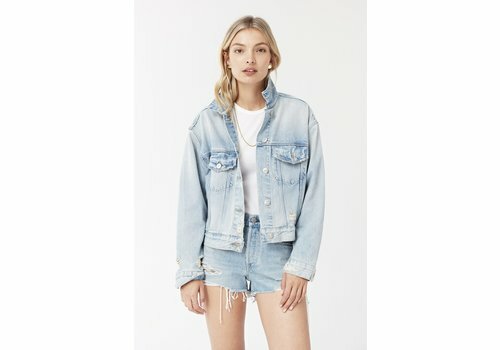 3x1's Oversized Classic Cropped Jacket is a vintage-inspired wash with extensive hand-done grinding and destruction, hand touch sanding, and is finished with silver hardware. 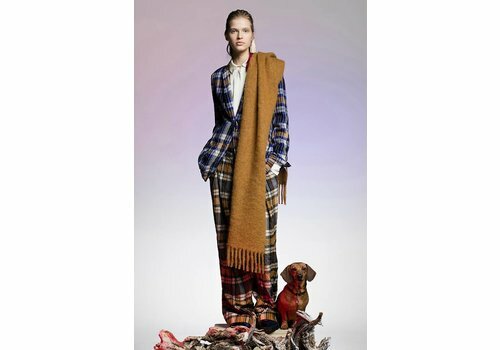 The wool Tartan jacket from forte_forte is a lined jacket featuring a crinkle effect, patch pockets at the front, front button fastening, slit at the bottom of sleeve and on hem at the back.